Well its opening weekend this weekend, so time to open the thread. Our crew will be going up there at the end of June. If anyone else wants to go, we're looking for a few more bowlers. GO GET "EM! I won't be traveling to Syracuse, but best of luck to those of you who are! This is the first year since 2013 my team won't be attending. It was starting to look financially impossible for most of us. 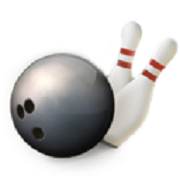 But now that bowling has started, and scores are being posted, I've got the itch. I suspect that sometime before the tournament ends, I'll make a solo pilgrimage and try to get something from the sub board. I love this tournament (though I'm not at all happy about several recent rule changes) and I don't want to miss it. Considering on the first day of the tournament a team shot 3000, and an individual had 280/745 in doubles, I'm wondering if scores might be higher this year. That would be a nice break from the extreme grind its been the last three years. Time will tell. Now there's been a 791 and 1441 bowled in the Bowler's Journal. Adding to my previous comment that it looks like this might be an average raising year. My group will be bowling May 23 & 24. Looking forward to this one since it's within driving distance and I probably won't get the opportunity again to bring 8 bowling balls to the tournament. Have my sights on cashing this year in the singles and all events. I wasn't that far off last year. Bowlers Journal is at a bowling center site this year rather than separate, but similar, lanes at the nationals site, so you likely have a different lane surface, as it's at an AMF center. Its definitely different, but indicative no less. Furthermore, a very solid team from Detroit (Bill O, Kurt Pilon, Ryan Mouw) just shot 3322 which would have won last year by over 50 pins. Yes, they're a great group, but they left behind a lot of pins. We're less than a week in. Scores will be good. I've got the itch to go. Only a week later, I'm starting to wonder if 3322 might really be a score to beat. The way doubles scores have been from the first week, I think it will take 1480 and 820 to win those titles. I think I wrongly assumed that perhaps both conditions would be soft. But Team is proving to be anything but. 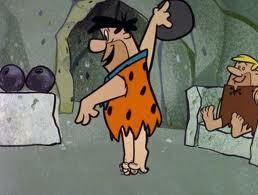 Several of the well known teams have already bowled, and struggled in Team event. NABR, who is historically good on the extra tough conditions USBC has switched to, may be the the real barometer. I don't know when they come through. I wouldn't be surprised if the winning score in Team and in All-Events has already been shot. my home house put out last years team and d/s shot for some of the boys to get at least a few tosses on something NOT a house shot. I dusted off my Rogue Cell and put a 1k dull surface on it, and my Reign-of-Fire I rubbed down to 500...They looked good on that condition...so they will be making the trip with me. Everyone I talked to said it was hard to get it to wrinkle over there in Syracuse...I don't bowl until July and have a tough shot league coming up that will give me some reps on a difficult condition...higher hopes than I usually tote in the door with me. I am going a week from Tuesday to watch the guys I was practicing with in the team event. Updates when I get them. I went to watch the buddies bowl the team event Tuesday night. To a man, they tried playing out with no success. Once they moved in to the 4th arrow, breaking it off about 8 they did better. One of 'em shot 264 the 2nd game. OTOH - and as a bonus, I got to witness 2 teams sponsored by the shop that does my work that I didn't know were going to be there. THEY did MUCH better. All 10 players were out with VERY dull equipment. One started with the front 7 and his team was the only team in the house over 1000 the first game. A different guy started game 2 with the front 8. They finished up over 3000 and in 9th as of when they finished. Not too shabby. In short, I STILL do not know where I am going to play...LoL, but I am pretty sure it will be with dull stuff.